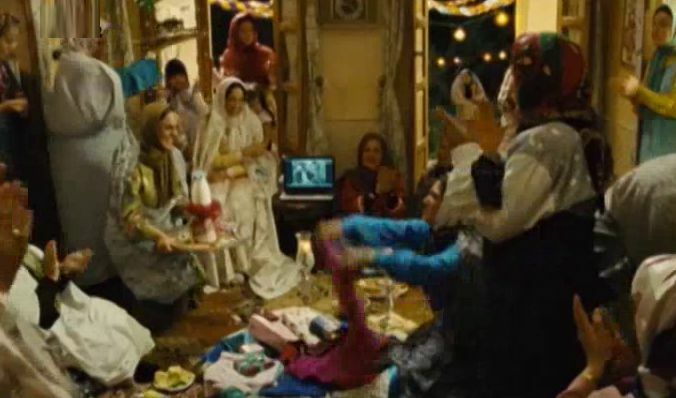 A Cube of Sugar (Ye Habe Ghand aka One Cube of Sugar, 2011) is a domestic drama set around a marriage ceremony that has been arranged for a young woman from a traditional Iranian family. 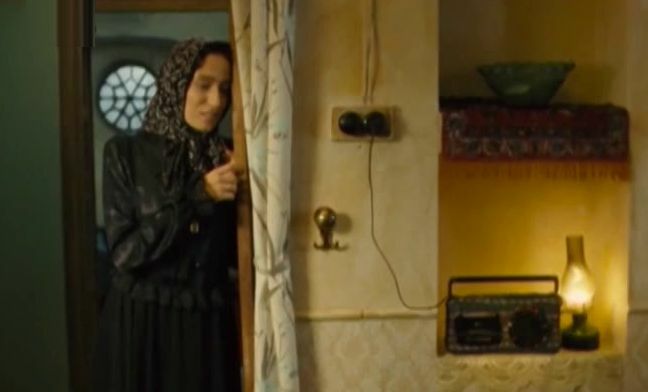 Directed and co-scripted by Seyyed Reza Mir-Karimi (aka Reza Mirkarimi), the film takes a broad look at this multi-generational family, devoting considerable screen time to a large number of the characters making up the family on the intended bride’s side. 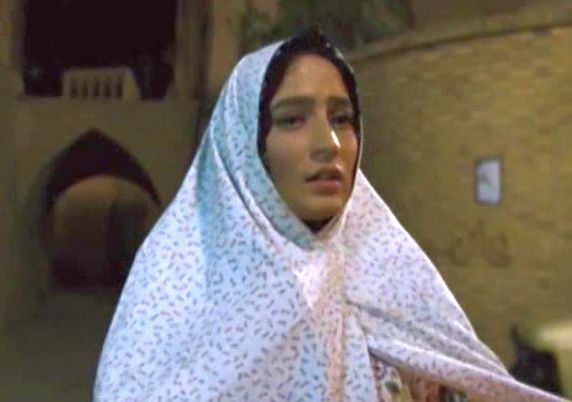 This has the feature of giving the viewer a sweeping view of domestic Iranian family life and for some moviegoers may by itself supply the film’s raison d’etre, perhaps in the spirit of Mira Nair’s Monsoon Wedding (2001). There are some extra wrinkles in the story of A Cube of Sugar, however, that make things a bit different. 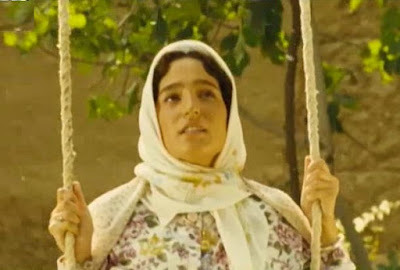 The central figure is Pasandideh (played by Negar Javaherian, who also starred in Gold and Copper, 2011), and we are introduced to her the day before she is to be married to a Mr. Vaziri. Marriages are important social events everywhere, but in Iran particularly so, because they present one of the few occasions when an entire extended family gathers for the ceremony. (I attended one such Iranian marriage which was the first time the entire far-flung family had gathered together in 28 years). Pasandideh’s family, which is from Yazd, is very traditional, but they are not isolated from the effects of modernity. In this case, for example, the marriage is to be conducted by proxy, since the bridegroom is evidently in the US and unable to come to Iran for the ceremony . In addition almost everyone seems to have a mobile, camera-equipped smartphone. Over the course of the story, Mirkarimi employs the narrative technique of slow disclosure so that the viewer only gradually discovers some of the significant attitudes and relationships among the principal characters. 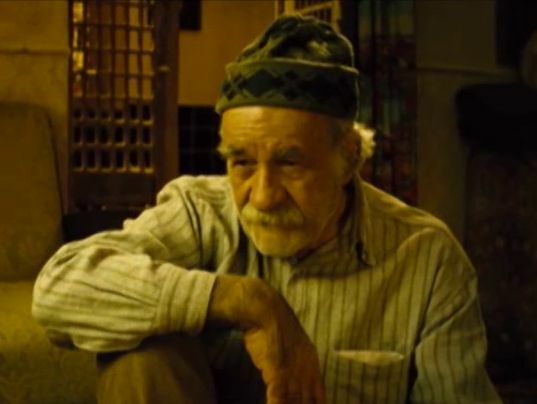 For example, it takes some time for us to learn that Pasandideh’s Uncle Ezzatolah (Saeed Poursamimi) is something of a stepfather of the family, since Pasandideh’s mother is a widow. We also learn that Uncle Ezzatolah was not in favor of Pasandideh marrying Mr. Vaziri, but instead preferred his own stepson, Ghasem, who is currently away serving his military obligation. 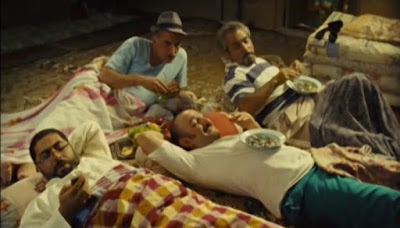 The story of the film is quite scattered, covering as it does the various mini-dramas of a number of characters, but it can be divided into two main sections. The film begins with family relatives arriving at Uncle Ezzatolah’s traditional family villa on the day before the engagement party and wedding ceremony are to take place. These include Pasandideh’s four older sisters, all of whom are married and have families. The four husbands to these sisters are all well-acquainted with each other, but they are all different. Hajji Naser is very religious and has just returned from a pilgramage to the holy city of Karbala. Hamid (Hedayat Hashemi) is the belligerent and sometimes abusive husband of sister Mahnaz. Hormoz (Asghar Hemmat), who is similarly delinquent and a close friend of Hamid’s, has recently spent several years in prison for some undisclosed criminal activity. Jafar (Reza Kianian, who played in The Wind Carpet (2003), The Fish Fall in Love (2006), and The Maritime Silk Road (2011)) is loquacious and outgoing. He provides some of the social glue among the men. The wives of these men, i.e. the four sisters, gather together indoors and spend their time gossiping about their past experiences with men, and married life in general. They represent one of the social groups focalized in the film. There are also some other groups with their narrative threads in this section. Hamid and Hormoz believe that there are some valuable books that have been buried in the family stock-house. They plan to secretly dig them up in the evening so that they can sell them at a big profit. Later the four men sit down in the living room to watch a football game and engage in typical male posturing. There are moments of reflection, however. Hamid, for example, mentions that if he had extra money he would like to “buy” a second wife and rhetorically challenges the other men as to whether they are not all bored with their marital lives. Hajji Naser phones his doctor and learns that recent medical tests reveal that he has cancer. He keeps this a secret from those around him. Some of the sisters’ young boys have heard that there are ghosts living in the family stock-house. They are busy daring each other to go there one night and investigate. Two teenage children seem to show some diffident interest in each other (when the boy is not preoccupied with his phablet). The generally benign Uncle Ezzatolah is evidently currently disgruntled about the marriage and keeps to himself. He charms one of the young boys who is scared of ghosts, though, when he shows him how he can toss up a cube of sugar and catch it in his mouth. Meanwhile Pasandideh seems almost a background figure as she watches in wonder at all the goings on around her. The overall celebratory mood is suddenly shattered about an hour into the story by a seemingly trivial act. While in the act of catching one of his tossed sugar cubes, Uncle Ezzatolah chokes on the cube and dies. Now the marriage ceremony has to be postponed and a funeral must be held. This involves not only obligatory expressions of grief, but also rapid practical preparations for the funeral ceremony. For example, Hajji is shown surreptitiously using a mechanical click-counter as funeral guests arrive so that he can tell the ladies how much food to prepare for them. And, of course, routine electrical power outages have to be accommodated. All the previous narrative threads have now been interrupted and set aside, as that one cube of sugar seems to have changed destiny. Uncle Ezzatolah’s stepson Ghasem gets a one-day leave from his military service to attend the burial. Upon his arrival it is evident that there may still be something between Ghasem and Pasandideh, although nothing is explicitly expressed. At the end of the film in the middle of the night, the electrical power comes back on and awakens Pasandideh. She lovingly surveys her extended family, who are all sleeping on the floors of various rooms. What and of whom she is thinking about is a matter for your speculation. Your appreciation of A Cube of Sugar will probably depend on how much you get into the social milieu presented in the film. The broad tapestry of various interacting social types creates an atmosphere that dominates the scene and casts Pasandideh as primarily a witness. However, although the general commotion concerning what is presented suggests near chaos, it is evident that the shooting script of the film has been very carefully structured. In fact the cinematography is striking – with many hand-held moving camera shots that shift in-frame from closeups to medium shots and then end on a different closeup. These are not particularly long-lasting shots, however, and most are less than twenty seconds in duration. In this connection much of the cutting between these shots is on-action, and it is generally smoothly performed. Thus the acting in the film must have been necessarily very carefully rehearsed in order to accommodate this visual approach. And yet I would say that the acting performances appear to be spontaneous, natural, and convincing in their various representations. This dynamic visual landscape of A Cube of Sugar reflects Mirkarimi’s professed view that the film is more about space than about an event . It brings to mind Antonioni’s approach of using the physical environment of a scene to participate dynamically with the social interaction presented. After all, our perception of space is always conjoined with the narratives that we remember or imagine that take place there. In fact narrative and space are always connected. We understand narratives in the contexts of the spaces in which they take place. And we inevitably understand space in terms of the narratives connected to it. A house might be understood by an architect quite differently from the way a potential resident might understand it; and that difference is in terms of the narratives associated with that house. Though I believe Mirkarimi has the right idea here about space and its connection to narrative, I do not believe that he has succeeded in effectively merging the two the way Antonioni did. Much of the dynamic mise-en-scene in A Cube of Sugar seems to me to be affected and artificial. The interposed lyrical scenes (e.g. showing Pasandideh moving on a swing as she reaches up to pick an apple off a tree) feature evocative music (from veteran Mohammad Reza Aligholi), but their appearances are unmotivated and seem to be almost random insertions. The various narrative threads in A Cube of Sugar come to nothing, and we are just left with the simple notion that “life goes on”. There were ingredients here for something more than that. Research Directorate, Immigration and Refugee Board, Canada, “Iran: Information on whether proxy marriages exist in Iran, and if so, on the procedures, steps and details of a proxy marriage”, (1 July 1996). “A Cube of Sugar, a sweet Iranian Film”, Parsology, (11 August 2012).